Unrivaled visibility – No obstructive mast improving site safety. Forward reach – Ability to single side load, reduces double-handling and keeps operators clear of hazardous environments. 111 degrees of carriage rotation – Making handling of unpalletised goods much easier and safer. Space savings – 50% less loading space required in congested yards. The JCB TLT30 has productivity built in due to the Telescopic boom. Using a big bag shovel, loose aggregates can be bagged on demand saving time off loading pre-bagged materials and space from bulk bag storage. The Teletruk can often do the work of five machines on site – a Skid Steer Loader, Compact Telescopic Handler, Rough Terrain Forklift, Compact Wheeled Loader and a Conventional Masted Forklift Truck, this feature could reduce your fleet holding and operational running costs. The Teletruks small footprint and small turning circle allows you to work in narrow aisle widths. 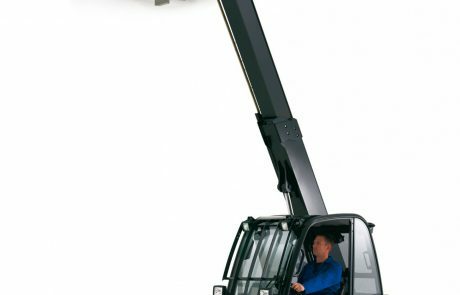 With no mast blocking the view ahead as on conventional forklifts, the Teletruk’s unique side boom provides unrivalled forward visibility. Telescopic forward reach allows you to unload lorries from one side so no forklift movement around the other side of the lorry is required, ensuring pedestrians stay safe and separate. 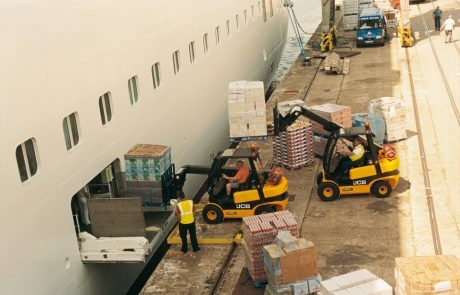 Forklift Trucks need to spend the maximum amount of time hard at work. We’ve designed the Teletruk to do just that, with long service intervals and quality components. There are no excuses for daily checks not to be carried out due to the excellent access through the service side door. Teletruk’s battery can be easily accessed without the need for special tools. The hydraulic tank is also within easy reach and there’s an unobstructed view of the indicator. For additional peace of mind, efficient service scheduling is ensured by JCB LiveLink and the JCB Teletruk comes with two-year, 3000 hours JCB Warranty as standard. The TLT35D 2wd and 35D 4×4 counterbalance forklifts are strong and exceptionally versatile performers, weighing up to 12,125lb. Unrivalled visibility – No obstructive mast improving site safety. 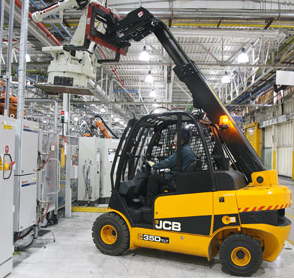 The JCB TLT35 models have productivity built in due to the Telescopic boom.